CPI win® REI is the Namirial best solution for analytical verification of structures fire resistance according to EUROPEAN STANDARD UNI EN. 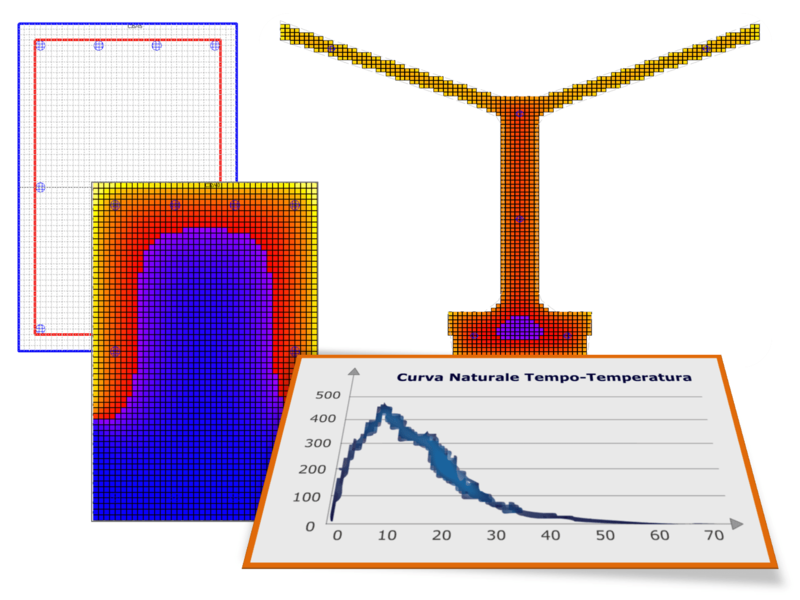 The structures are verified using nominal fire curves and subjecting them in fire cases as close as possible to reality. 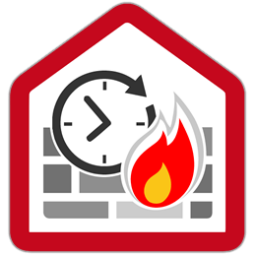 CPI win® REI allows elements fire resistance verification in reinforced and/or pre-stressed concrete (REI ca-cap), steel structures (REI Steel), bearing and non-bearing walls (Rei Walls), and for wood structures (REI Wood). 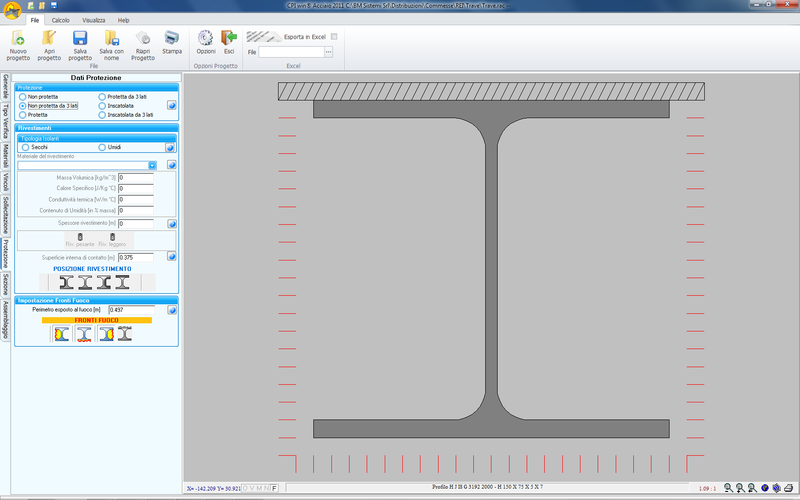 Owns a RICH ARCHIVE of sections but it is also possible a direct DXF file importing and defining the armors. 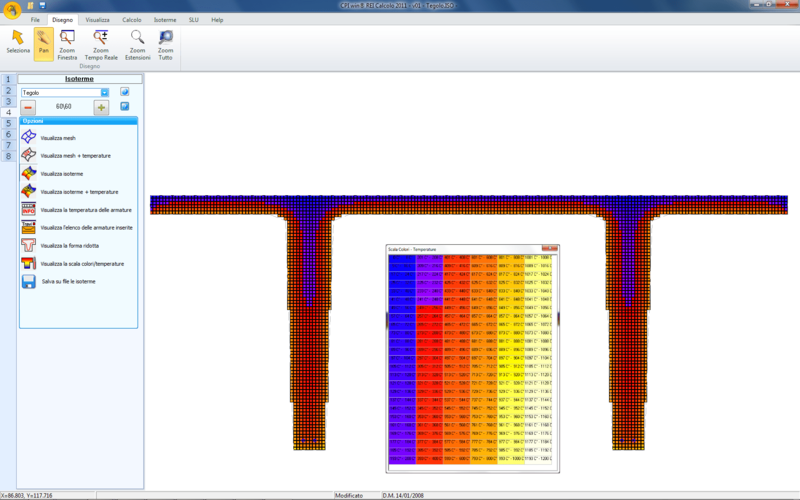 It performs thermal analysis and calculates structures strength. 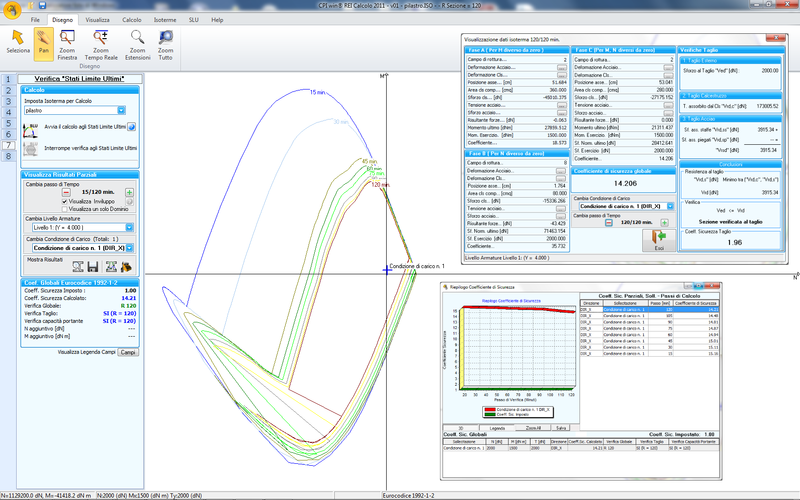 In order to perform structure thermal analysis, element temperatures and curves, it is possible to define fire fronts, both directly exposed to flames or not, to set exposure time and verification intervals. 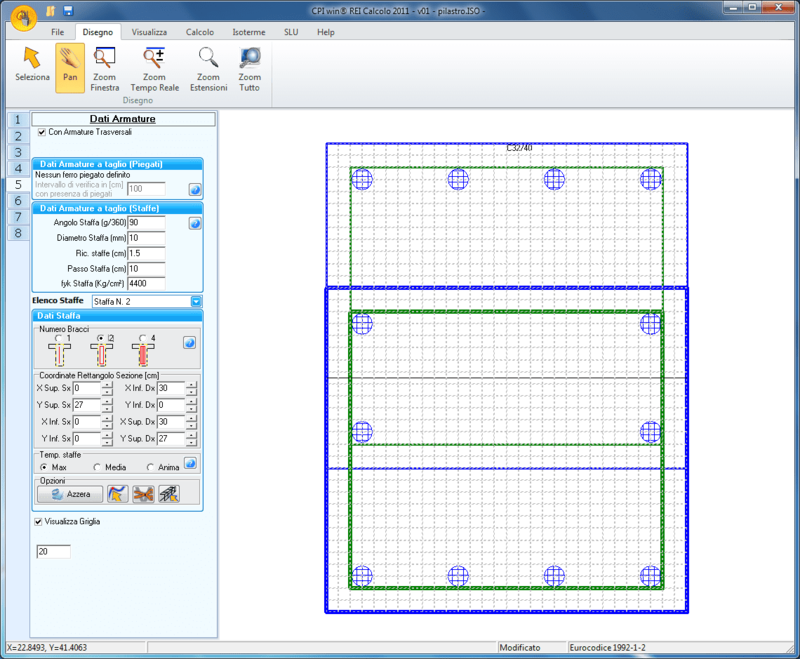 The software gives, also, in graphics format, the temperature reached by each mesh and armor for each step of the calculation set, also in a dxf exportable file. The program performs the calculation with LIMIT STATE METHOD according to European Standard Uni En 1992-1-2: 2005, with input of one or more combination of stress. Furthermore, CPI win® REI performs many other checks as channel bracket design, cut off and stability of second order verifications, full according to resulting measurable deformations in constraints and pressures. 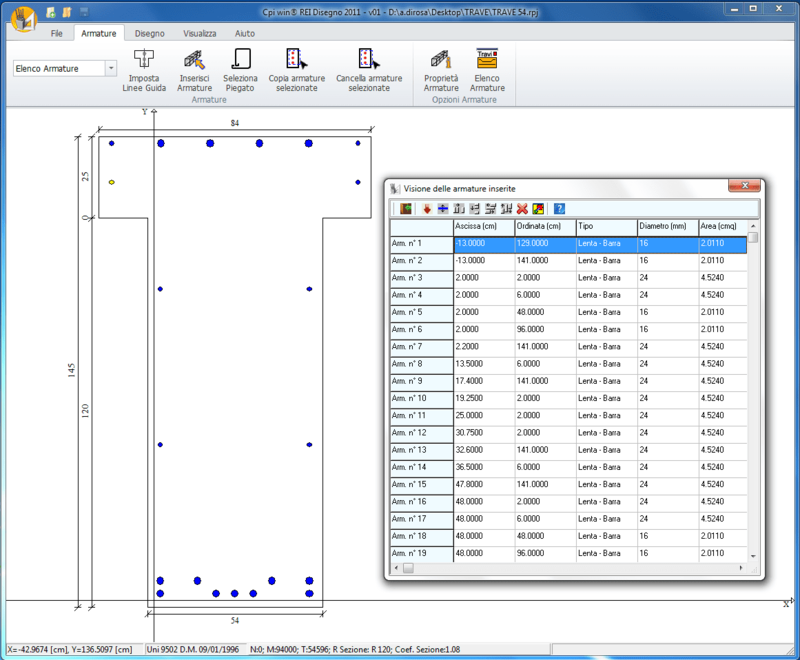 All calculation data are reported in a complete and customizable technical report. Owns a complete archive of steel sections, but it permits the input of other different kind of sections. Also includes an archive of materials to be used as coating and protection stock, to be implemented with other posted material. Checks BEARING or NON-BEARING WALLS, according to European Standard Uni En 1996-1-2: 2005.
of different kind of surface materials. 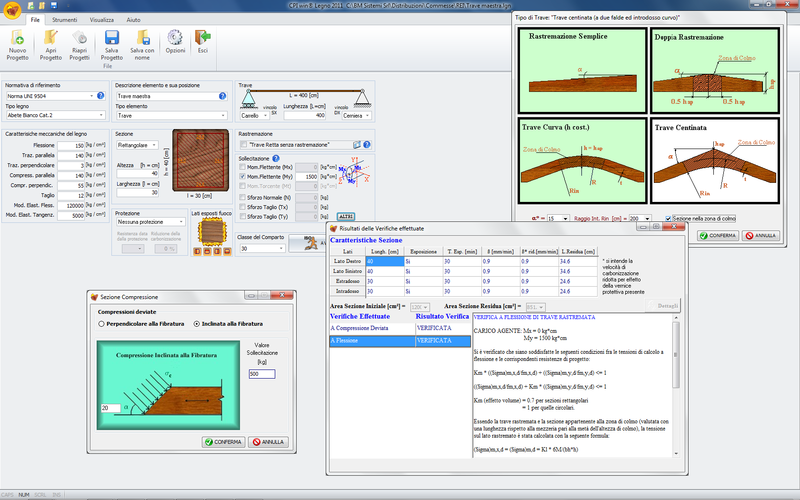 By inserting the stresses, if any, and indicating the side of the wall exposed to fires, the software determines the heat transmission and verifies the strength applying limit state method. Verifies rectangular or circular wood structures, considering size, wood kind, exposure to fire, paint protection or protective cover but also tapering, carvings and constraints. The calculation is performed according to the European Standard Uni En 1995-1-2: 2005 and it verifies the so-called charring rate, the strain resistance following the wood consumption. 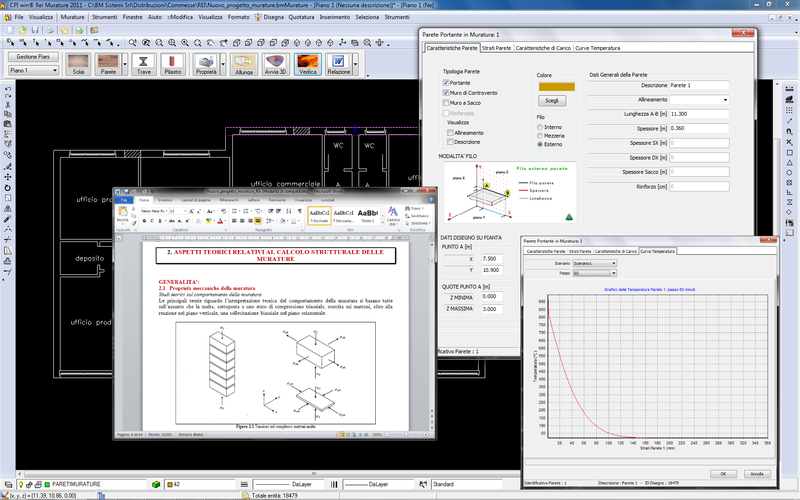 ALL CPI win® REI modules produce comprehensive technical reports fully customizable.